Such short little lives our pets have to spend with us, and they spend most of it waiting for us to come home each day. It is amazing how much love and laughter they bring into our lives and even how much closer we become with each other because of them. Coping with the loss of a pet is difficult, and we understand how deeply it can affect you and your family. 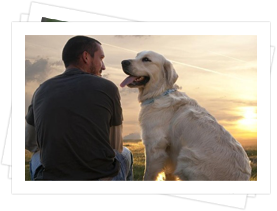 Caring for your departed animal can be a healing and cathartic act, and we can help you to give your beloved pet the dignified farewell and attention that he or she deserves. 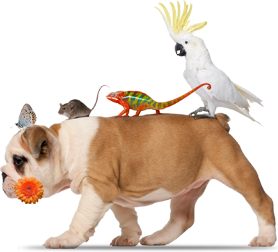 - Transportation of your pet from your home or veterinary hospital to our facilities. - Private family goodbyes or pet memorial services. - A large selection of pet memorial products. 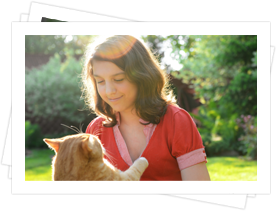 - Our unique Paws to Cherish pet tracking system give you great peace-of-mind. A private cremation means your pet is placed in the cremation chamber alone. Upon completion of the cremation, your pet's cremated remains are removed from the chamber, and returned to you, in an urn of your choice..